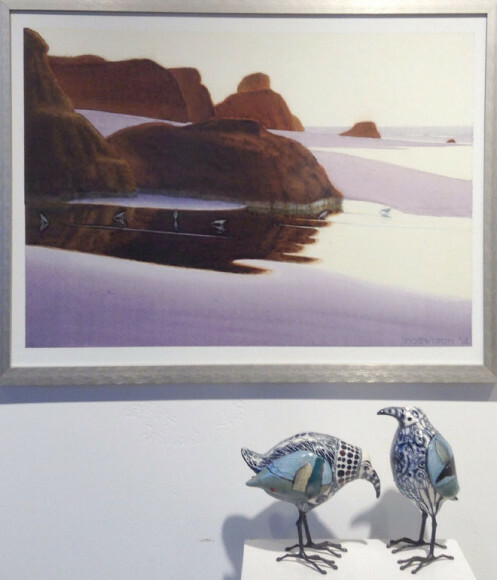 “Bandon Rocks” is a new water color by Bob Bosworth which captures the beauty of the Oregon coast during this time of the year. It is one of many new and revisited works that grace the gallery walls during the months of November and December. Also depicted are sculptured birds by Robin and John Gumaelius among a variety of ceramic sculptures and found objects. The annual salon features all gallery artists.